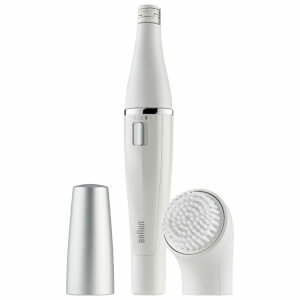 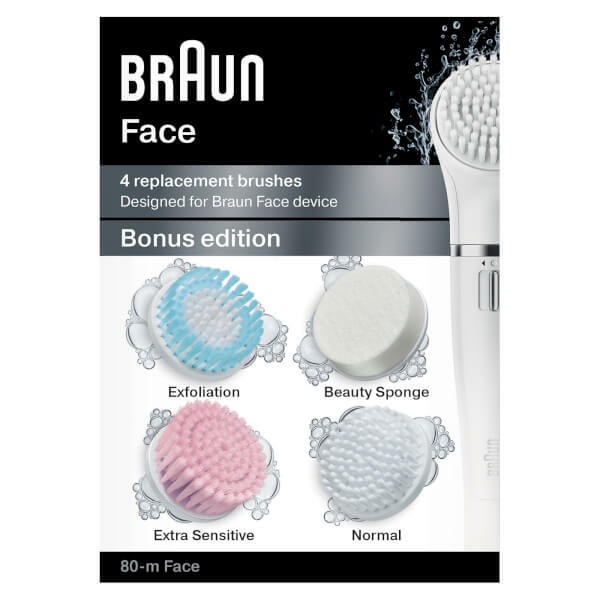 Designed for the Braun Face device, the SE80-M Silk Face Epilator Refill pack includes four different brushes to tailor your facial cleansing to your specific skin needs. 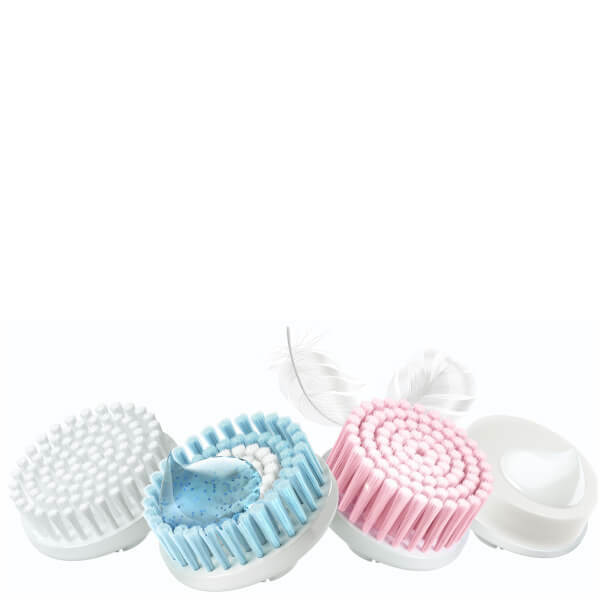 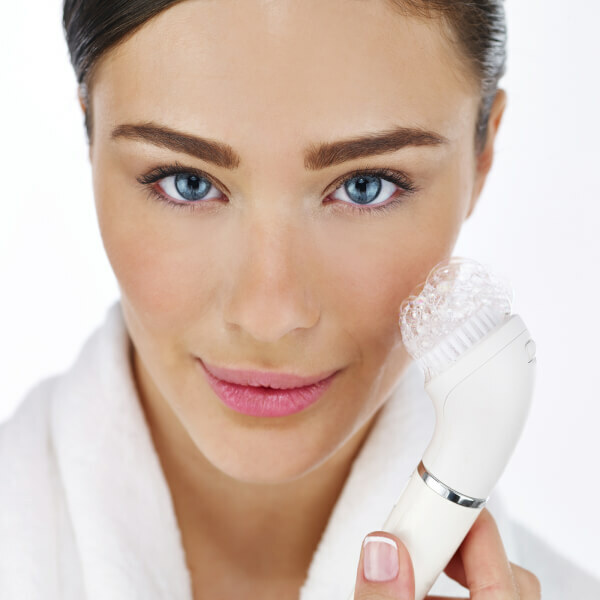 The Normal Brush removes make-up and impurities up to six times better than manual cleansing, the Exfoliation Brush gently sweeps away dead skin cells to visibly refine the skin, the Beauty Sponge helps to massage cream or serum into the skin or can be used to apply make-up evenly, and the Extra Sensitive Brush gently cleanses particularly delicate, dry or sensitive skin. 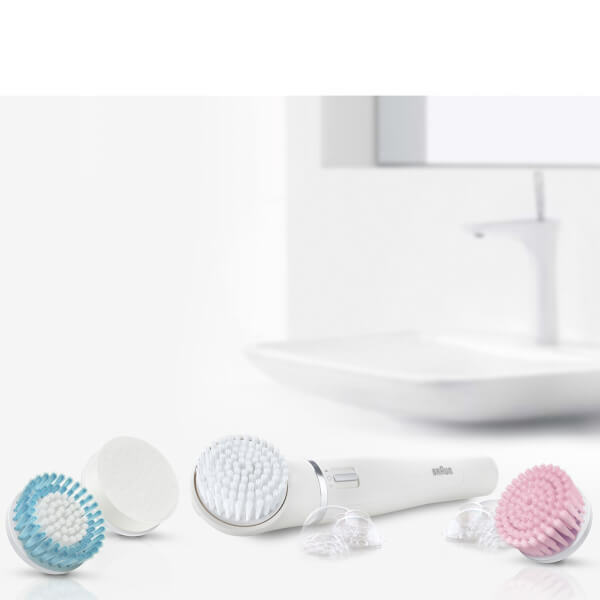 – E.W.